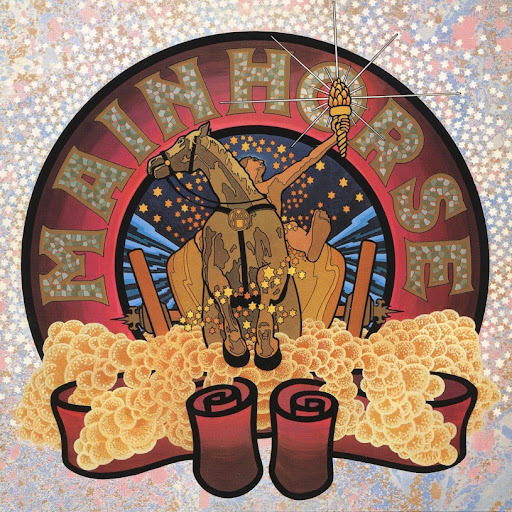 The history of MAINHORSE started in '68 but unfortunately, it's not very well documented. The prime mover was Patrick MORAZ, a very talented, Swiss born keyboardplayer. Other members of MAINHORSE were Peter Lockett (lead guitar, violin and vocals), Jean Ristori (bass, cello and vocals) and Bryson Graham (drums and percussion). In 1970 the band signed a contract with Polydor, a year later their eponymous debut-album was released. It remained unnoticed and when success failed MAINHORSE disbanded soon. Drummer Bryson Graham went to play with GARY WRIGHT and SPOOKY TOOTH. In '74 Patrick MORAZ founded REFUGEE and replaced RICK WAKEMAN in YES and in The Eighties he joined THE MOODY BLUES. I don't know this one but I like a lot Ekseption or Trace so I 'll love it. Thank you! Many many thanks for that stuff!!! Amazing album. One of the best in the history of Music. I like this a lot! 4 stars!